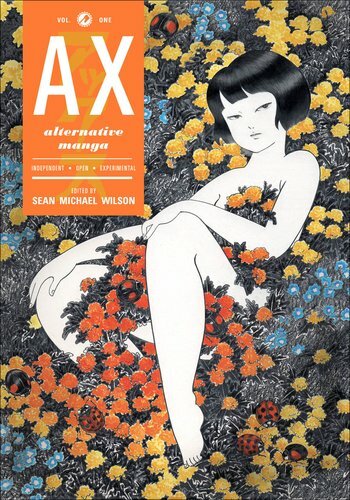 Top Shelf’s compelling new anthology of work from Ax, Japan’s premier magazine for alternative manga, features work by 33 artists over the course of more than 10 years. The narratives, translated into English for the first time, range from linear to hallucinatory, and are, at turns, funny, disgusting, bawdy and heartbreaking. In one memorable entry, Yoshihiro Tatsumi tells the story of a heartbroken urbanite who seems to seek love from a monkey he frees from the zoo. In another, Toranosuke Shimada, who counts Kurt Vonnegut and Robert Altman among his influences, plays hopscotch in the eye of a metafictional whirlwind, leaping from Pelé to El Dorado to Nazi war criminals. Whatever image the word manga conjures in your mind, this collection will likely shatter it. As primer or reminder, this wholly unholy collection reveals the illuminating variety of the form’s divergent dimensions.